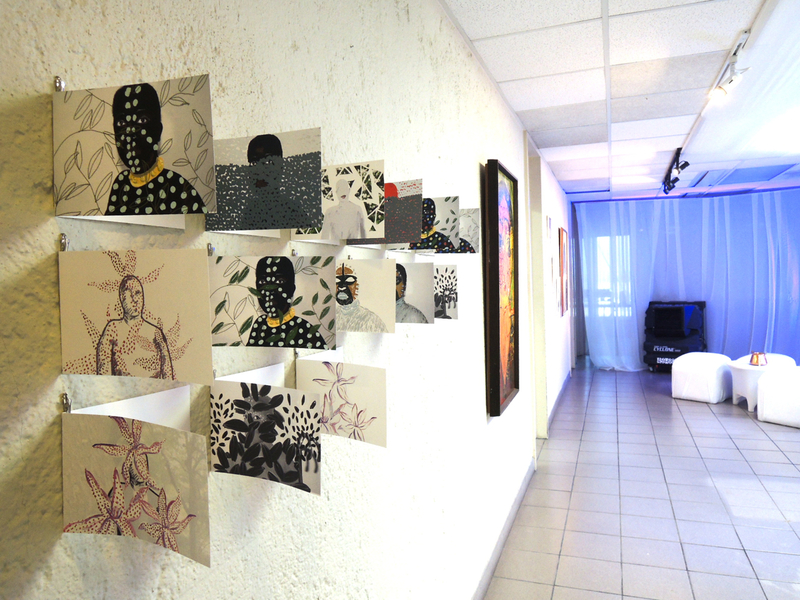 I was invited to exhibit work in the recent show at Myers, Fletcher & Gordon by curator Nicole Smythe-Johnson in May. The show was sheduled for June but was moved to a July opening date. This didn't leave me alot of time to make work but I wanted to show something different than I normally do in exhibitions in Jamaica. One of the main things about the videos I normally make is that it relies heavily on drawing and painting. The drawings are normally masked by the upfrontness of the software and other multimedia elements I use to create my videos. The result is that over the years I have amassed a decent amount of works on paper. So for this show I collected a few of the larger drawings and also revisited a series of drawings I did in 2012 for a still unpublished artists book I was working on with three other artists. These are images that help me think through ideas before I get to the stage of making a video and often they influence the imagery in the videos. 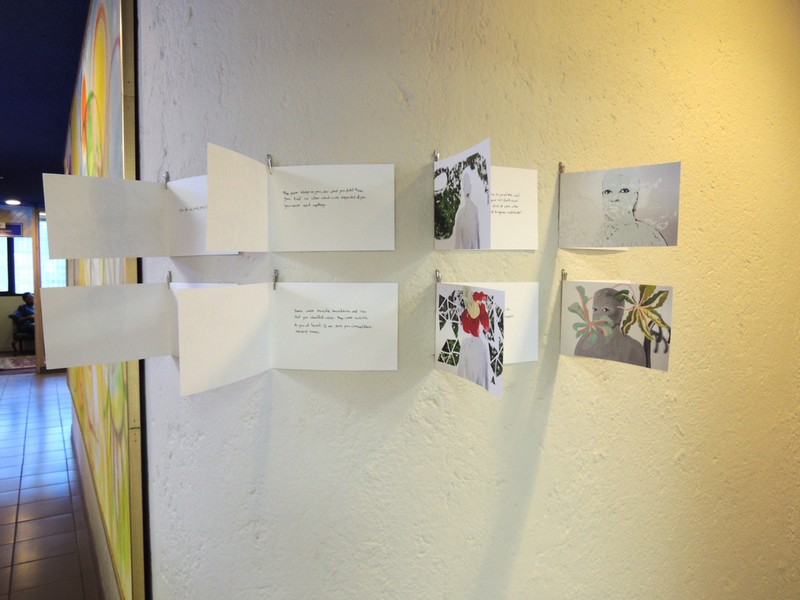 One of the works I made in particular that seemed to come together well was an installation of notecards printed with the images from the artists book and addressed to the viewer and then pinned to the wall. The text inside the cards comes from a letter I wrote to myself about a certain period in time in my life. I then split the text up across the cards so that the letter was a little bit more abstract and that anyone could take away something from each card. The intimacy of the work was one that I enjoyed. There is more about the show here. The curator paired my work with Seya Parboosingh's paintings which for me was a great chance to interact with paintings I have admired for some time.